I sent a lot of postcards when I was in Austria. 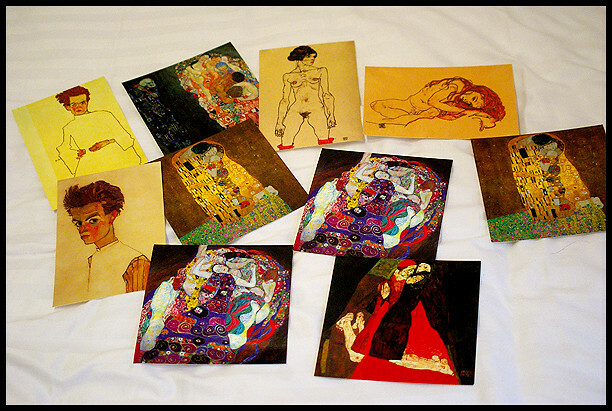 These are just the ones from the Leopold Museum, probably about 1/3 – 1/2 of the total. Getting non-bill post is always nice.